We have a swamp monster living in our toilet. Okay, not really. But there’s gotta be something in the water here, because I can clean our toilets twice a week and they still grow a nasty, slimy substance that resembles mold. I’ve never investigated it much to determine exactly what it is, because who wants to put their head in a toilet? So, I just scrub it out when I notice it – most of the time I catch it fairly early, but occasionally we have a swamp-looking water surface in the toilet. Awesome, since my “monster” is the alligator. Not sure why, but it always has been – My mom once threw a toy plastic alligator in the bathtub when I was two or three and I literally climbed up the side of the shower. At least that’s the story they repeatedly tell me. And, based on my dislike of them now, I totally believe it. Anyway, I’ve tried lots of things to stunt the growth of our swamp monsters and nothing has really worked. I tried the scrubbing bubbles disks you drop in the water and it turns the water blue. Nada. And it kinda freaked out one of my friends. They were over one night and she kinda grabbed me while I was doing some dishes in the kitchen and was like “uhhhh, so is the water in your toilet supposed to be blue?” And those suckers aren’t cheap! I’ve tried a couple other similiar products and they worked (or didn’t) about as well, with a little less of the freaking out our house guests part. 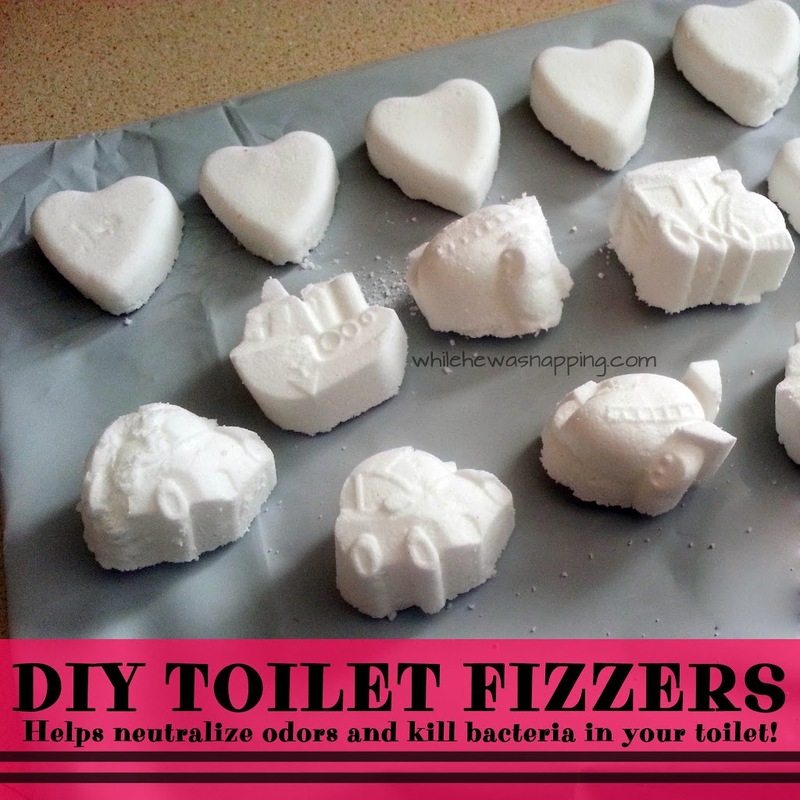 Then, I saw this recipe for DIY toilet fizzers on Maria’s Self. These cost pennies to make and I figured they couldn’t be any worse than the other things I’d tried, so I decided to give it a go. The process is pretty basic. Mix it all together, spritz until damp enough to stick together and then press into the molds and let them dry. 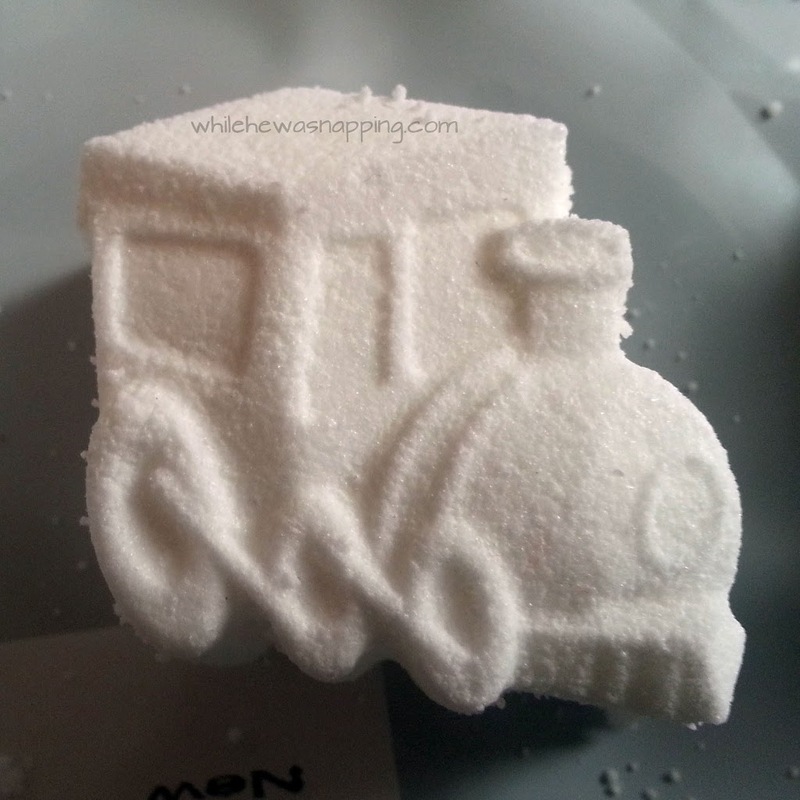 It didn’t take terribly long – pressing the powder into the molds took the longest. But, I’d say I was finished with the whole thing in about 30 minutes. 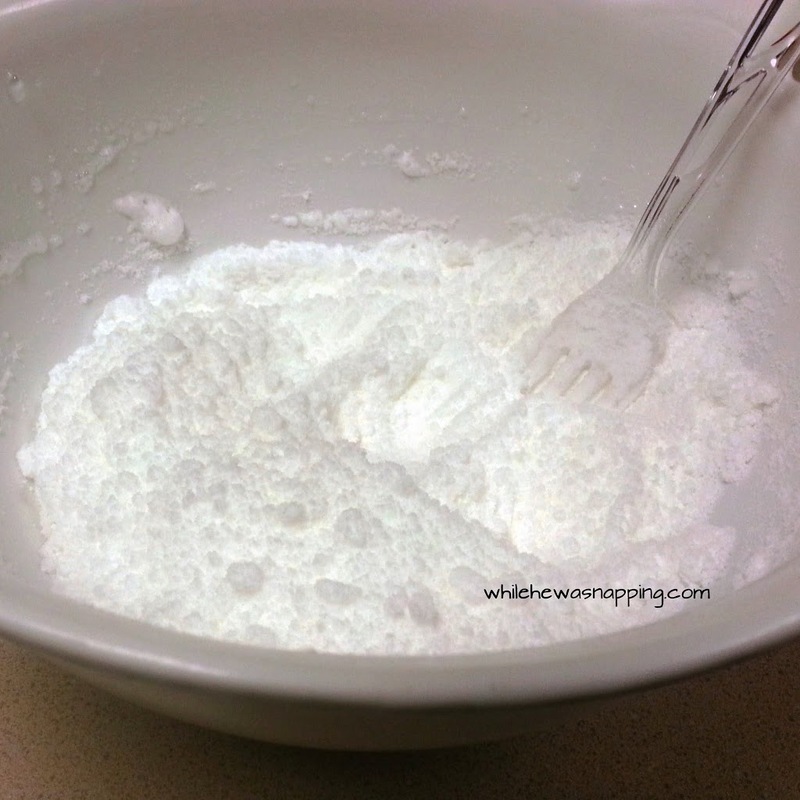 Press the powder in well and level off the backs. Brush any extra powder into the other empty cavities. I followed Maria’s directions, so I’ll send you over there to get them. Find all the details HERE. These have been working pretty well so far. And they smell pretty awesome. Definitely check them out! Stopping by to let you know YOU were featured at Link’n Blogs! Thanks for linking up. Hahaha! But you did! You really have to be careful around them, they really try to copy everything you do. What a great idea though! Thanks for sharing! Right?! You have to think twice about everything you say and every possible way it could be taken… Kids are fun. Thanks for visiting!